Promote Your Business in Chamber Tent Village At The Parade Site. Includes a 10' x 10' tent, 6’ wide table + two folding chairs. Promote your business directly by offering free product samples, promotional giveaways, donations to a charity, a fun drawing or some other creative ideas before, during & after the Homecoming Parade. Food Truck Promotion: Participating food vendors can sell food to customers right in the middle of the Homecoming festivities in front of the Twelve Corners Middle School while the music is playing and all during the parade (from 10:30am until approximately 1:30pm). Vendor must provide food permit. 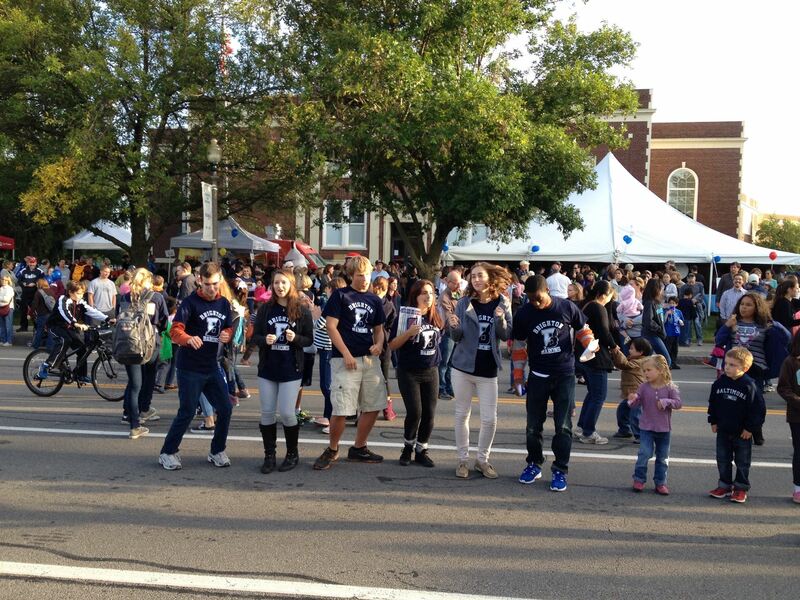 Promote Your Business: March In The Brighton High School Homecoming Parade: This is your chance to literally put your business out in front of the community by actually joining the parade. March in the parade or decorate one car/float to accent your message. Put your staff in the parade! Celebrate! Lineup at noon. Parade begins at 12:45pm. Promote Your Business: Sponsoring The Homecoming Music: Your business will be announced & thanked periodically throughout the event: before & during the Homecoming parade. The event features a DJ station at 12 Corners. Recorded music is played from 10:30am until the parade begins at 12:45pm.